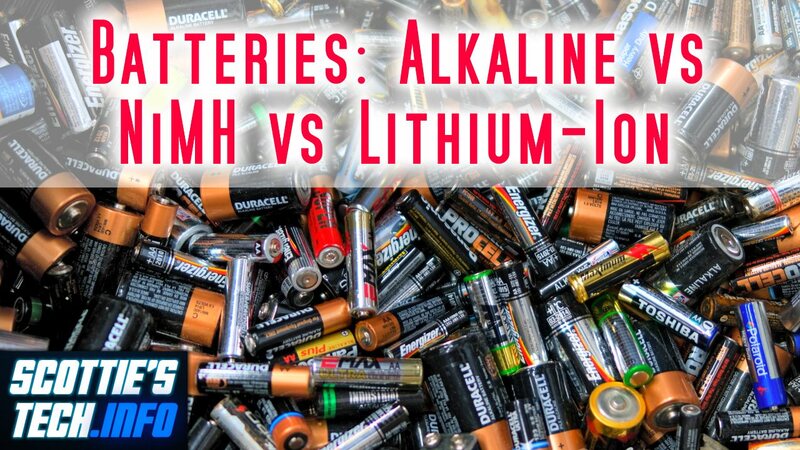 Ever wonder about the differences between alkaline, nickel metal hydride, and lithium-ion batteries? Wonder no more! 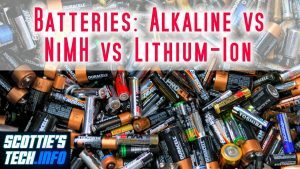 Alkaline batteries are great for their initial higher voltage, but the total current available drops off (along with the voltage) over time. NiMH cells have a lower voltage, but it stays constant along with the available current. And finally, lithium-ion batteries are in a class of their own: You can even get high C-rating Li-ion cells where you can safely pull even more current than the cell is rated at, and the voltage only drops a relatively small amount.